Why do my light bulbs keep blowing? We investigate the various causes of light bulbs blowing - Faulty light circuits, faulty light bulbs. Here are a few suggestion to stop your bulbs blowing so frequently. Warning: To complete electrical works you must comply with Electrical Regulations – Click here for more information. Relax!!! This problem does not mean you have a major wiring fault. This is a never ending problem which has been looked into for donkeys years. A wiring fault in your circuit will be picked up by fuses and MCB’s long before it gets to the bulb. What can Cause a Bulb to Blow? There are a few reasons bulbs can blow, the major one being cheaper bulbs. The elements in cheap bulbs are much thinner and any surge of power, however slight, simply breaks them. Always go for more expensive, better quality light bulbs, its cheaper in the long run. A loose connection in the lamp holder can also cause bulbs to blow. This is because the circuit is not completed as tightly as it could be and the electricity may have cause to "arc" or jump across the contact, rather than simply flowing through it. When this happens it produces more heat in the fitting than is expected or catered for by the bulb, and the bulb can blow. The same can happen if the spring loaded connection in the bulb holder is slightly loose. This will cause electricity to arc across the contact, cause too much heat and blow the bulb. This can very often be diagnosed by looking at the contact on the bottom of the bulb to see if it is pitted. Arcing electricity effectively melts the metal it is arcing onto ( This is how arc welding works) so if the bulb contact is being subjected to arcing, tiny little indentations occur, called pitting. It is sometimes possible, if the live connection in your light switch is a little loose, for this to happen here also. Heat will be generated and it is possible, though very very remote, for the bulb to blow as a result of this. When a bulb blows, 99% of the time the fuse for the lighting circuit will blow or trip also. This makes the problem seem rather bigger than it actually is. The reason for a blowing lamp tripping an MCB is that the lamp element gets thinner during its life to the point where it breaks at the thinnest point, this point will melt just before failure. The resistance of the overheating element will momentarily be very low and a current surge is caused, this is picked up by MCB’s but generally not fuses. As a last resort you can also check the tightness of the connections in your switch. As mentioned above, make sure you have turned the power off before you do any maintenance whatever. Read our projects on electrical safety and Part P building Regulations. Be careful out there ! Now that more and more bulbs are LED or low energy bulbs, they don’t have a filament to blow as described above. Assuming that you have not bought really cheap bulbs, and they keep blowing then there are other problems that are the cause. In our house we have had to replace “good quality” bulbs in less than two weeks. Further, we have had 3 LED bulbs burn out in less than a year. We are constantly changing bulbs in fixtures: base down, base up…doesn’t matter. Any ideas wat could be the cause? Bad / loose connections causing arcing etc…. If you have ruled out a loose fitting or connection in your bulb holder, then we recommend that you get a qualified and registered electrician to conduct a full check of the lighting circuit(s) and any other circuits with similar issues. That way any faults can be identified as can any poorly functioning accessories. You can find one local to you here. 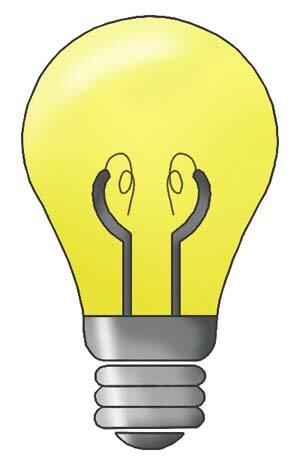 99% of the time tungsten fillamented bulbs have their own fuses built into the stem. these nearly always blow as the lamp fails, usually saving the main fuse. The reason stated, although possible, is not common. What usually occurs is at the point of the filament failing (usually at switch on), an expanding arc occurs, melting back the filament as it goes. The arc’s ionised low impedance path allowing more current to flow, the remaining parts of filament soon devoured by the extra heat and current ,until , usually around 1 second later, the arc bridges both supply "arms". THIS is when the fuse(s) in the stem of the bulb fuse. There is a situation where "Blowing Light Bulbs" is not fairly immediate, but where the life of the lamp does not meet a customers expectation of a nominal 1000 hours burning. This is a grey area also described as "my light bulbs keep blowing" by people. An increase of 5% above the rated voltage of a light bulb reduces its life by 50%. Mounting a lamp with base down and bulb upper reduced life by 50%. I have no references to whatever research, but trust the knowledge of members of an Engineering Institution. Now, those living close to an Electricity Substation will receive a voltage higher than the nominal, so that those furthest away still have a proper supply. a. Reduce your 1000 hour lamp burning expectancy by 50% to 500hours. b. Maybe reduce your 500 hour lamp expectancy for your base down wall lights to 250 hours. To complicate matters further, I have tried the "lifetime guarantee" light bulbs (recently with 10 year guarantee). Two blew at switch on! !